IMPORTANT - these results are based on our experiences with commercial seed blends planted for the 2016 Season. A bad or good result does not mean the blend will have similar results on your property. There are many variables when planting food plots such as moisture, soil condition, planting techniques, invasive weeds and insects. We are only rating our results based on the conditions we experienced on this Northern New York property. Your experiences will surely vary. We have been managing hunting lands since 1992 when we brought you the Bowsite Food Plot. 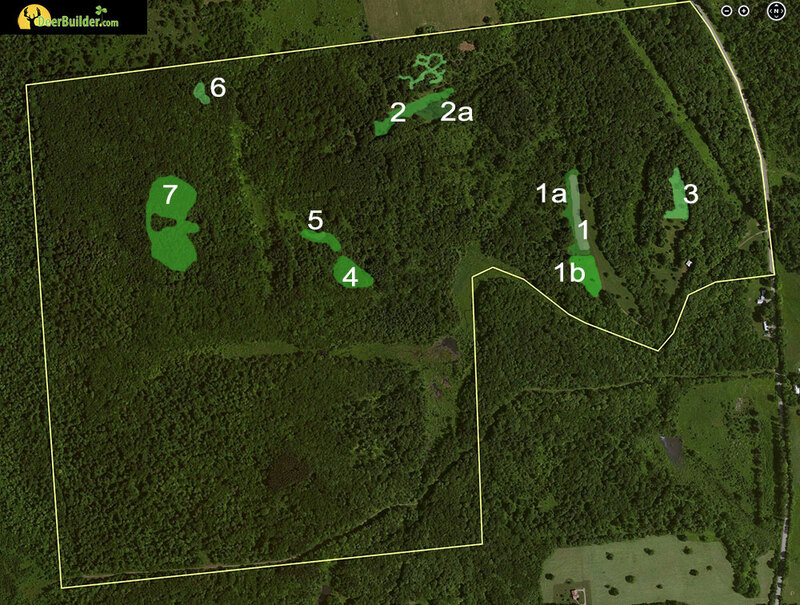 In 2010 we bought a 310 acre farm on the southwest edge of New York's Adirondack Mountains. Our goal was to demonstrate that the average hunter with sub-par lands can attract and hold whitetail deer, and transform even the worst properties into a local hot-spot. Unlike the celebrities that hunt the best farms, in the best states, we decided to show you how land management can transform even a "crappy" parcel of land. That was, and still is the mission of Bowsite's DeerBuilder.com website. For 2016 we used mostly 'brown bag' seed varieties on all new plantings. We're also displaying the results from Year 5 of our Perrenial Plots. We followed all directions and soil test recommendations and brought this feature to you with fairness to the manufacturers, with accuracy and integrity. We have been adding, expanding, and altering plot locations for four years. This year we added a new slice into Plot 1 to test a Chufa planting for Turkeys - actual results will not be seen until May 2017. This area of New York is east of Lake Ontario and is part of the Lake Effect moisture band. It has never seen a drought. Average rainfall totals nearly 90" of rain and up to 240" of snow. For 2016 we came off a very mild winter with almost no snow and total snow depth of 90" (previous year was 340"). Our area experienced little to no winter herd loss. We had exceptional growing conditions in the Spring, with adequate moisture throughout the growing season. The late summer good conditions as well. 2016 was the best growing conditions we've had in five years. We are very careful to test our soil in each plot with some larger fields getting multiple soil tests per year. Our PH has leveled off near perfect except for Plot 7 which required one ton of lime. Our soil composition is a rich, sandy dark loam with good drainage in our higher locations and very poor drainage in other locations. We utilized all of our own equipment for these tests, nobody other than me installed these food plots. We own all of our equipment including a 55 hp diesel tractor, and attachments by Woods Equipment. We had 35 cameras in use from June until March. We diligently maintained batteries and SD Card collections and finished out the Trail Cam Survey season with 30,577 individual photos of big game. These were sorted and maintained for establishing accurate deer utilization trends in each plot. 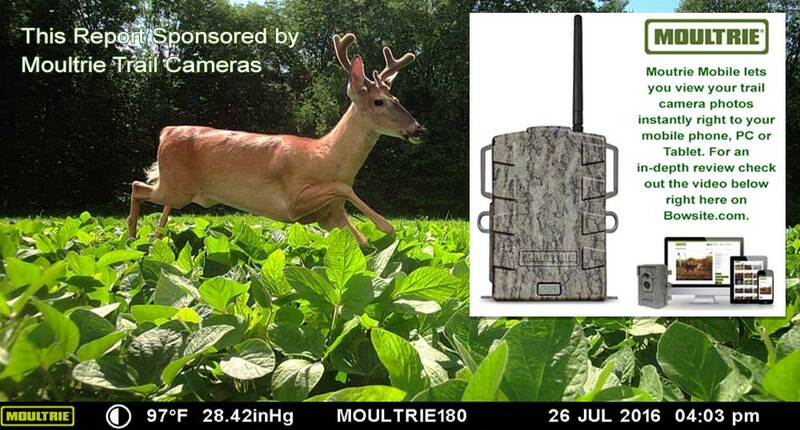 New this year we utilized two cameras running Moultrie Mobile in key locations. This allowed us to have Real-time photos in two locations. We spent 12 total man-days hunting this property. We identified 1 mature buck that has been on the property for three years and I was fortunate enough to kill him on my first day of hunting. Three weeks later, a new mature buck that we've not seen before moved into the area and was photographed after the season until mid-January. In addition to my buck, my son took a mature doe on a DMP permit in November as well. Unlike many QDM programs, our area does not require doe reductions due to the harsh winters and severe herd loss which has occured twice in the last six years. You will notice that a lot of our choices come from Hancock Seed. Please note that Hancock is not a brand, they are a seed distributor that sells fresh, 'brown bag' seed. We could easily substitute other distributors like Seedland, Welter, etc. I prefer to buy my seeds from a high volume distributor - rather than pre-packaged varieties sold by big name hunting companies. While I do use 'deer head' branded seeds I have better results with pure stands and custom blends. Please remember, I have been doing this for over 20 years and most people will never want (or need) to go to the lenghts I do to plant food plots. I would like to also mention that we do not accept advertising from hunting seed companies. By doing so it would affect the integrity of this test. The only company we have ever allowed to sponsor DeerBuilder is Grandpa Rays Outdoors, a small, family run business that sells fresh seeds and blends that are designed for performance, not profits. New York, where my property is located, has one of the more regressive deer management programs in the Northeast. While this creates challenges for my herd goals, the single biggest problem we face is severe weather - which is typical for this area located just ten miles from Adirondack park in New York's Northern Zone . Our winters are harsh, with snow averages well over 200 inches per year. Two years ago, we had a very severe winter with over 300 inches of snow. Predation is high here as well, with a good population of bears and an abundance of coyotes (and a short coyote season which makes no sense to anyone). My plot choices take all of these factors into account. Buy by far the single biggest factor is winter. I lean heavily toward winter crop varieties over spring and summer plantings. You will see that this year over half of my acreage is planted in brassicas or beets as these bulbs are critical for winter survival.